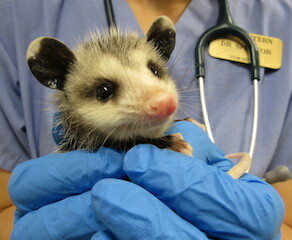 Virginia Opossums are the only marsupial, or pouched mammal, native to the United States. They are highly adaptable animals and can live in a variety of habitats, both natural and human made. 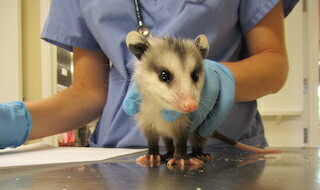 Although it may not be obvious to some people, opossums are a unique member of Florida’s wildlife, playing an important role in the function of a healthy ecosystem. One of CROW’s Animal Ambassadors will be present. 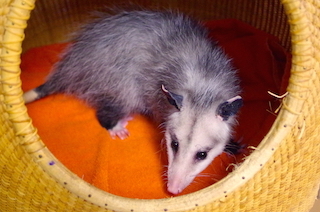 Virginia Opossums are the only marsupial, or pouched mammal, native to the United States. They are highly adaptable animals and can live in a variety of habitats, both natural and human made. Although it may not be obvious to some people, opossums are a unique member of Florida’s wildlife, playing an important role in the function of a healthy ecosystem. One of CROW’s Animal Ambassadors will be present. 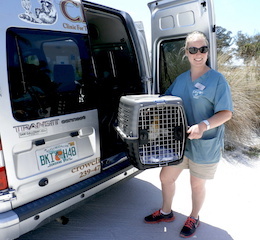 Southwest Florida is filled with fascinating wildlife, and CROW provides a unique opportunity to look into wildlife rehabilitation and meet the staff responsible for their care. 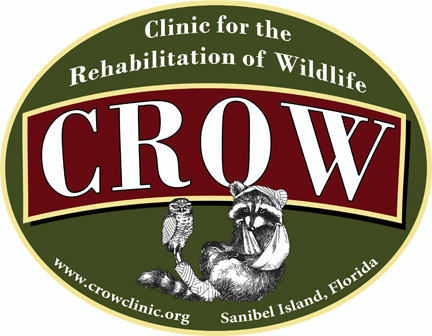 Southwest Florida is filled with fascinating wildlife, and CROW provides a unique opportunity to look into wildlife rehabilitation and meet the staff responsible for their care. Wildlife walks are the best opportunity for visitors to get an in-depth look into the inner workings of our hospital and the treatment process. The program has two parts: the daily presentation in the Visitor Education Center and then a guided tour through treatment areas of the hospital, concluding on our rehabilitation grounds. Wildlife Walks are approximately 1 and 1.5 hours: a 45-minute presentation with a 45-minute tour. This program is open to all, but it is not recommended for children under the age of 13. *To register, contact: Visitor Education Center at (239) 472-3644 ext. #229 or reservations@crowclinic.org. Payment is required at the time of reservation. Photography opportunity available following tour with Animal Ambassador. 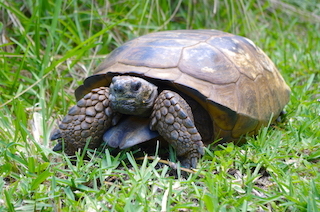 The life of a Gopher Tortoise revolves around its burrow. 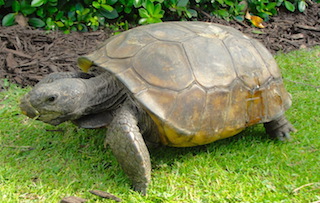 These tortoises are found digging from Southern Georgia to Southeast Florida. Because of its contributions to the ecosystem, it is classified as a “Keystone Species.” Come listen as CROW’s presenter describes why they are admitted how the medical staff treats this species. One of CROW’s Animal Ambassadors will be present. The life of a Gopher Tortoise revolves around its burrow. These tortoises are found digging from Southern Georgia to Southeast Florida. Because of its contributions to the ecosystem, it is classified as a “Keystone Species.” Come listen as CROW’s presenter describes why they are admitted how the medical staff treats this species. 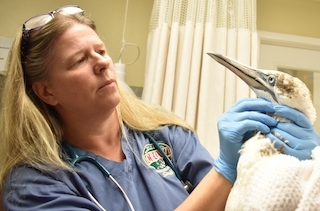 Do you wonder how and why animals become patients at CROW? 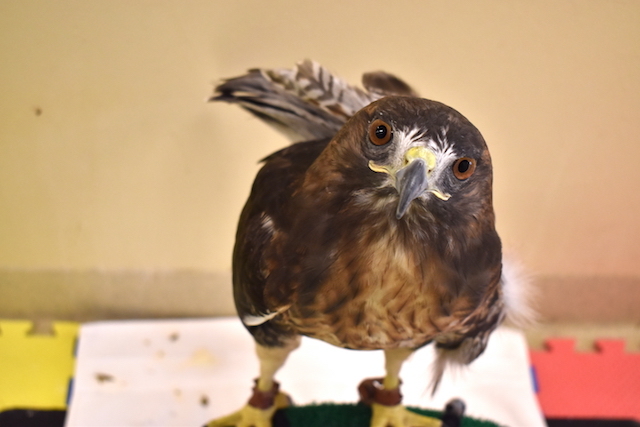 Whether animals are sick, injured, or orphaned, CROW aims to lead in their recovery. From fishing line entanglement to abducted babies, this presentation will address the most likely reasons patients are admitted to the hospital. 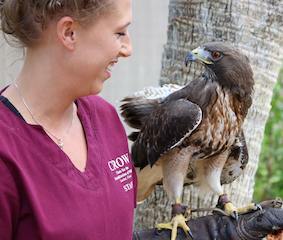 Southwest Florida is filled with fascinating wildlife, and CROW provides a unique opportunity to look into wildlife rehabilitation and meet the staff responsible for their care. Wildlife walks are the best opportunity for visitors to get an in-depth look into the inner workings of our hospital and the treatment process. The program has two parts: an introductory presentation covering our medical and rehabilitation methods and then a guided tour through treatment areas of the hospital, concluding on our rehabilitation grounds. Wildlife Walks are approximately 1 and 1.5 hours: a 45-minute presentation with a 45-minute tour. This program is open to all, but it is not recommended for children under the age of 13. *To register, contact: Visitor Education Center at (239) 472-3644 ext. #229 or reservations@crowclinic.org. Raptors are birds that prey on other animals in the wild to survive. Their specialized beaks and talons make them some of the most effective hunters. 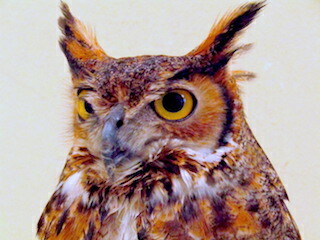 This presentation discusses the unique adaptations of the native and migratory raptors of Florida, specifically the five species of nocturnal hunters known as owls. One of CROW’s Animal Ambassadors will be present. Raptors are birds that prey on other animals in the wild to survive. Their specialized beaks and talons make them some of the most effective hunters. This presentation discusses the unique adaptations of the native and migratory raptors of Florida, specifically the five species of nocturnal hunters known as owls. 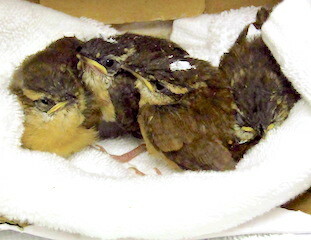 Wildlife parents are very devoted to the care of their young and rarely abandon them, and juveniles found “abandoned” might actually be in a natural stage of development. 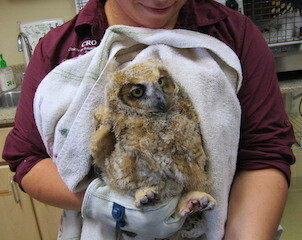 Those needing assistance are placed in a specialized wing of the wildlife hospital and are provided supportive care around the clock until they are old enough to care for themselves. Raptors are birds that prey on other animals in the wild to survive. Their specialized beaks and talons make them some of the most effective hunters. This presentation discusses the unique adaptations of the native and migratory raptors of Florida. One of CROW’s Animal Ambassadors will be present. Raptors are birds that prey on other animals in the wild to survive. Their specialized beaks and talons make them some of the most effective hunters. This presentation discusses the unique adaptations of the native and migratory raptors of Florida. CROW’s teaching hospital offers externship, fellowship and internship opportunities for natural science and veterinary medicine students. While on site, students learn the ins and outs of conservation medicine and wildlife rehabilitation, and are excited to share their favorite patient stories with you all. One of CROW’s Animal Ambassadors will be present. CROW’s teaching hospital offers externship, fellowship and internship opportunities for natural science and veterinary medicine students. While on site, students learn the ins and outs of conservation medicine and wildlife rehabilitation, and are excited to share their favorite patient stories with you all. CROW’s teaching hospital offers externship, fellowship and internship opportunities for natural science and veterinary medicine students. While on site, students learn the ins and outs of conservation medicine and wildlife rehabilitation, and are excited to share their favorite patient stories with you all. One of CROW's Animal Ambassadors will be present. One of CROW's Animal Ambassadors will be present. 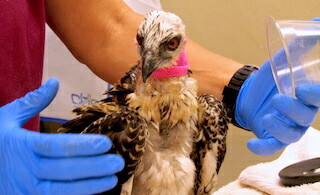 Have you ever come across wildlife in “distress” but did not know the appropriate steps to help? Florida is home to more than 700 terrestrial animals and other invertebrates, and they all depend on our sustainable recreational practices to survive. From posturing to vocalizations, animals communicate in a variety of ways and, at times, indicate their need for human assistance. Whether it is deterring visitors from feeding birds on the beach or detaching a pelican from fishing line in the mangroves, this program will cover wildlife rescue assessment as well as handling techniques! Spend part of an afternoon on CROW’s campus and join the Medical & Research Director for Lunch. Learn about how our work is vital to Southwest Florida and beyond! In addition to a boxed meal, hear wildlife patient stories and end the program with a behind-the-scenes tour of the hospital. Reservations include a boxed lunch catered by the Sanibel Deli and concludes with a tour of CROW's hospital and rehabilitation grounds. *To register, please contact: Visitor Education Center at (239) 472-3644 ext. #229 or reservations@crowclinic.org. 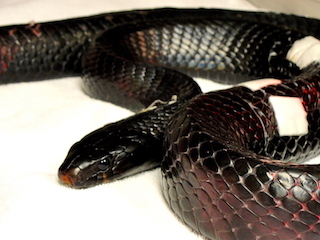 Florida is home to 46 species of native snakes, only 6 of which are venomous. Although there is a widespread fear and misunderstanding of this animal, most species are harmless to humans and form vital links in the ecosystem. Snakes are extremely valuable because they are efficient at monitoring pest populations without relying on chemical pesticides which can degrade the environment and harm other animal species. One of CROW’s Animal Ambassadors will be present. 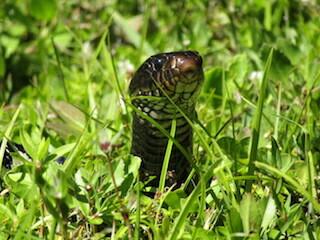 Florida is home to 46 species of native snakes, only 6 of which are venomous. Although there is a widespread fear and misunderstanding of this animal, most species are harmless to humans and form vital links in the ecosystem. 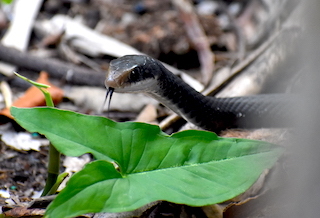 Snakes are extremely valuable because they are efficient at monitoring pest populations without relying on chemical pesticides which can degrade the environment and harm other animal species.